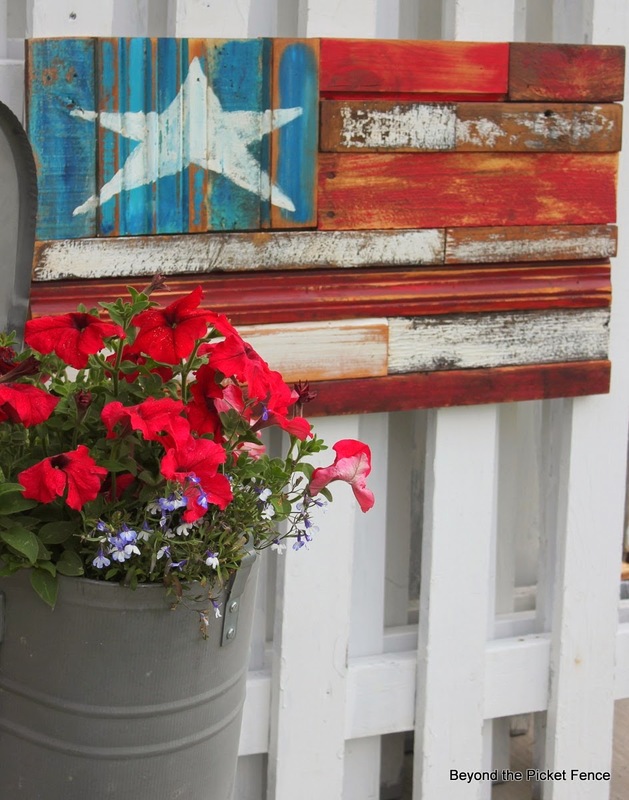 Indeed, patriotism reigns with a reclaimed wood flag that will appeal to those that can't live without their gorgeous, distressed wood collection on display! Becky challenges herself to come up with a new flag every 4th of July. I'd have to say, I think this year is my ultimate favourite! 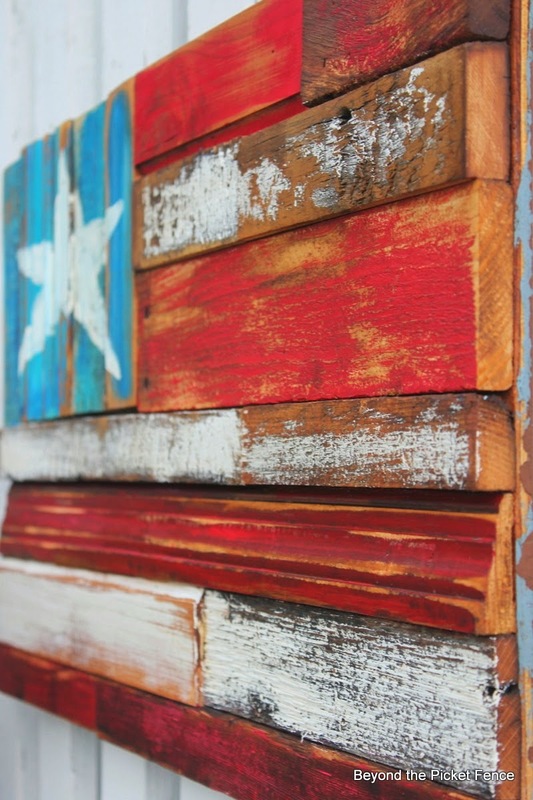 Reclaimed, distressed wood of all kinds and sizes were attached to a backer board, with Becky's signature bright coloured distressed finish, that makes this piece truly one a glorious kind. What I love about this is the fact that ANY chunk of wood you have is a go! What a gorgeous design. Cute ...love the use of the reclaimed wood! !